with Flash memory to provide a low-cost hardware debugger and programmer. at a most affordable price point using the powerful graphical user interface of the MPLAB Integrated Development Environment (IDE). 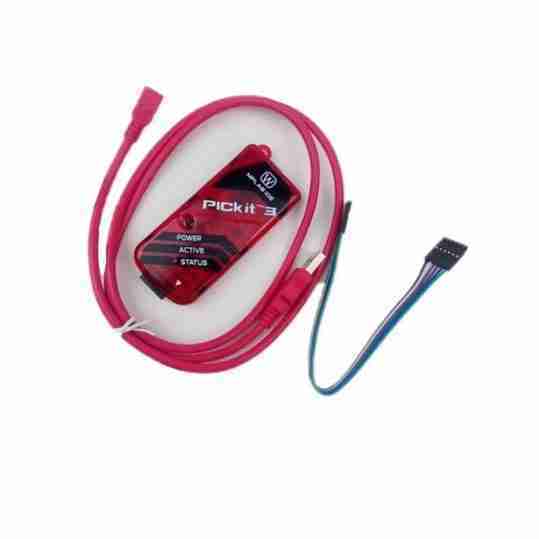 The MPLAB PICkit3 is connected to the design engineer’s PC using a full speed USB interface. PURCHASE in conjuction with Ghozt Modules. Allows for reprogramming.